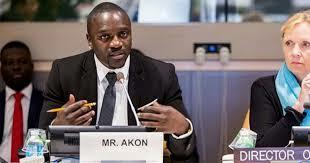 HE’S VERY FAMOUS, popularly known as ‘Akon’ in the world of R&B music in United States of America. He is never ashamed of his place of birth-Senegal, nor is he troubled by his childhood in Africa. Having won several awards in music with a net worth of $80million, Akon has remembered his ‘root’, as he happily give back to Africa in form of corporate social responsibility. 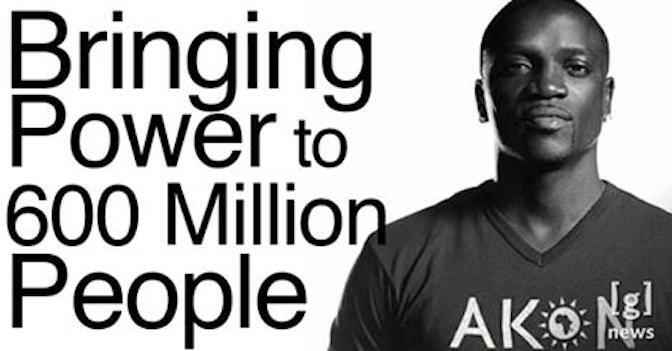 For the first time, Akon is bringing Solar energy electricity to Africa. He has raised 1 billion dollars to finance the noble idea so that Africa may enjoy uninterrupted power supply around the clock. For the records, Akon Lighting Africa is a project started in 2014 by Akon with Samba Bathily and Thione Niang which aims to provide electricity by solar energy in Africa. Their initial technique is to install Solar street lights and small energy systems. Today, 600 million Africans still don’t have access to electricity, particularly in rural areas. In far too many parts of Africa, night-time economic activities are practically non-existent. Women cannot make productive use of their time to carry out the most basic household tasks. Children who help the women cannot study at night without proper light and complete their homework by candle light, an additional expense for parents. Moreover, without access to electricity, over 3.5 million Africans die every year from harmful pollutants or fires in the home produced by costly and toxic solid fuels. To meet these challenges, Akon Lighting Africa seeks to provide a concrete response at grass roots level to Africa’s energy crisis and lay the foundations for future development. Launched in February 2014 by international music star, Akon, leader Thione Niang and entrepreneur Samba Bathily, this initiative aims to develop an innovative solar-powered solution that will provide African villages with access to a clean an affordable source of electricity. The highly positive results observed since the start of the project show that a local presence and practical solutions are key to resolving energy issues in Africa. 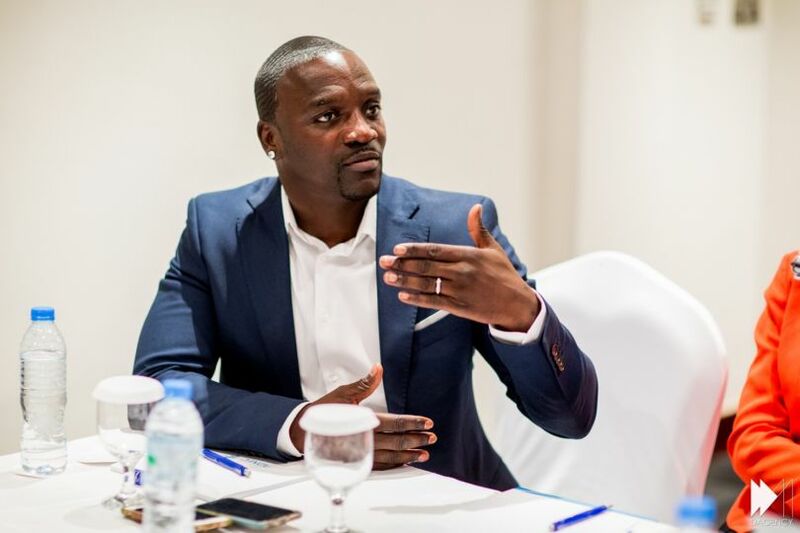 Akon Lighting Africa’s roadmap fully reflects its founding members’ vision for Africa to deliver concrete results to populations. •Allow school children and students to do their homework and pass their exams. •Allow shopkeepers, tradesmen and cooks to work and small businesses to expand their activities and revenues. The founding members of the Akon Lighting Africa project are continuing with their vision to drive development throughout Africa and to make it the world’s major investment hub in the 21st Century. Populations in off-grid locations are the first to suffer from the lack of energy. The priority is therefore to electrify very isolated towns and villages, far from the capital cities Thanks to the range of solutions distributed by Akon Lighting Africa, they can benefit from affordable, clean and endless energy. Funding provided by China- iangsu International Economic And Technical Cooperation Group. The founding members of the Akon Lighting Africa project are continuing with their vision to drive development throughout Africa and to make it the world’s major investment hub in the 21st Century. Populations in off-grid locations are the first to suffer from the lack of energy. The priority is therefore to electrify very isolated towns and villages, far from the capital cities. Thanks to the range of solutions distributed by Akon Lighting Africa, they can benefit from affordable, clean and endless energy. 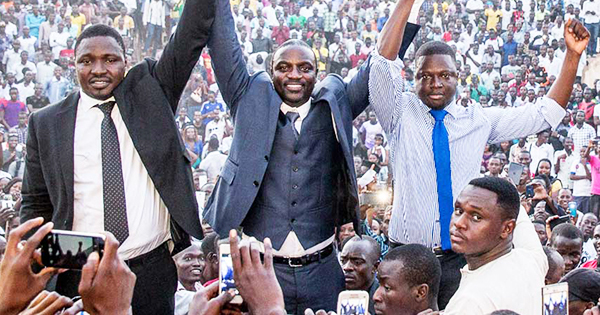 Parts of Akon’s plans are to provide a great opportunity for families who will be saved from using pollutant, toxic and costly domestic fuels such as kerosene.The founding members of the Akon Lighting Africa project are continuing with their vision to drive development throughout Africa and to make it the world’s major investment hub in the 21st Century. Populations in off-grid locations are the first to suffer from the lack of energy. The priority is therefore to electrify very isolated towns and villages, far from the capital cities. Thanks to the range of solutions distributed by Akon Lighting Africa, they can benefit from affordable, clean and endless energy. Akon has been one of the most popular music icons in many decades. He has worked with some of the best producers and has sold millions of copies of his music worldwide. As of 2019, Akon’s net worth is roughly $80 million dollars, making him one of the richest R&B singers. Financial aid. Popular African American singer Akon has announced that he has raised about 1 billion dollars to finance projects in Africa. Speaking to the press the artist said it was not an easy task for him raising the first billion dollar.